The second feature from Gerardo Naranjo, Miss Bala is a searing, brutal film set in the midst of Mexico’s vicious drug war. Laura (played by the terrific Stephanie Sigman), her bedroom walls covered in images torn from the pages of fashion magazines, is a stunning but poor young woman who dreams of winning the Miss Baja California beauty contest. Unless that happens, she’s stuck in a mundane existence caring for her father and young brother. But the night before her audition, she witnesses an attack by members of a cartel on a club filled with cops, gangsters and their girlfriends. She manages to dodge the hail of bullets, escaping unharmed, but loses her friend Suzu in the chaos. After one terrible error on Laura’s part, she’s plunged into a morass of betrayal, corruption and violence. Naranjo has made a very different film from his 2008 debut, Voy a explotar, a tragically romantic love story about two young runaways, filled with pop culture references. 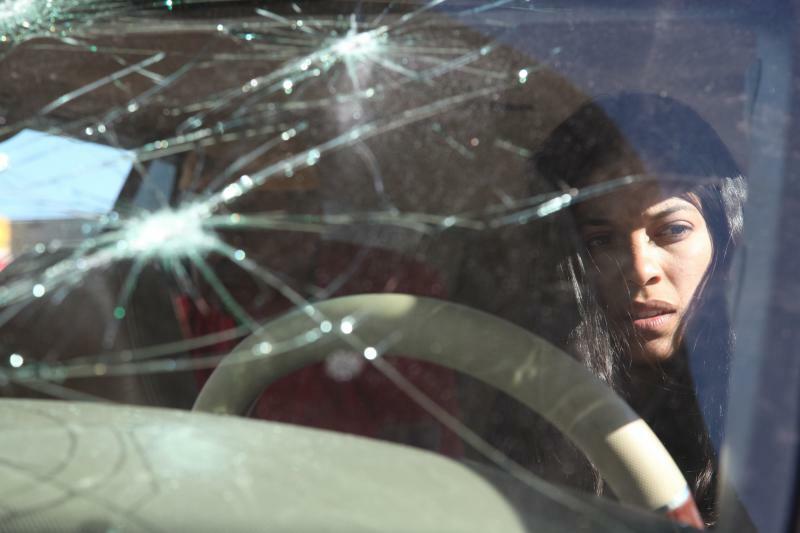 Miss Bala is darker, deeper and more haunting; for Laura, there is no escape. When she seeks help from a traffic cop in finding Suzu, she’s instead delivered into the hands of the criminals who shot up the club, and their very unglamorous leader, Lino (Noe Hernandez). Instead of killing her, he does something almost worse, forcing her to become a pawn and accomplice in his war with the government. In return, he will do what he can to help her win the beauty contest, except that too is little more than a set-up. Miss Bala is bleak but engrossing, mixing the political message with some excellent filmmaking and cinematography. In creating such a compelling picture, Naranjo and Stigman have drawn much needed attention to an ongoing tragedy - as the film reveals in its closing moments, more than 30,000 people have been killed in the drug war since 2006.